Killer Characters: Mom Robot No More! I’ve always considered myself an “aware” person. You know, I’m a reporter and like to think I know my community well. But this latest case has blown my mind. I had no idea that Cumberland Creek had such a burgeoning immigrant population, until the body of a young Mexican immigrant showed up in the walk-in freezer of Pamela’s Pie Palace. In investigating this case for the newspaper, I found there’s a whole community of Mexicans and others that I knew nothing about. How can that be? I'm ashamed of myself. I’ve been doing a lot of soul searching about this. The best I can come up with is that life gets in the way sometimes of having a broader perspective on what's going on around you. I’m so focused on my kids—homework, scheduling carpools, soccer, music lessons. Plus trying to plan and cook meals, along with laundry and other household chores, I sometimes feel like the days just roll by and I’m in those days performing as a kind of a mom-robot. I just have to get things done to keep the household running smoothly. But every once in awhile things happen that force me to poke my head out of my rabbit hole and look around at my own community. What? We have a community of Hispanics in Cumberland Creek? And what? 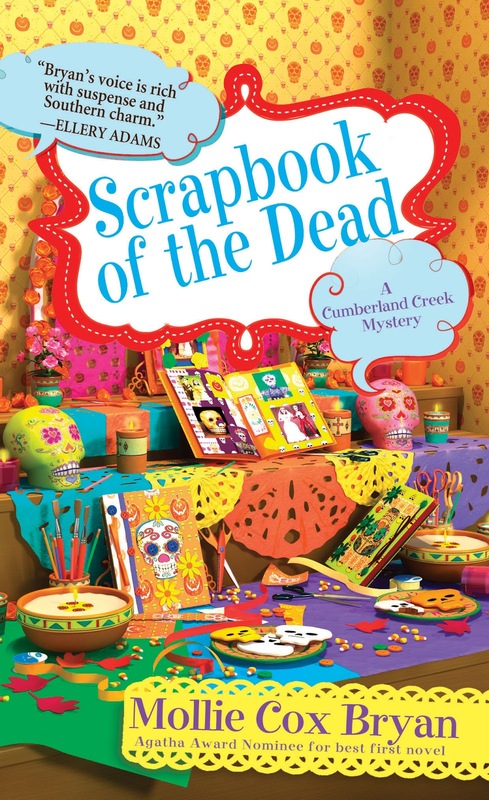 Some of them get together to scrapbook and share delicious Mexican food? Of course the very sad and sordid aspect of getting to know these women has been what’s brought us together—the death of not just one, but two, of their dear friends. Sisters. Both killed. Less than twenty-four hours apart from one another. You wanna know the even more freaky thing about these murders? Both women were grasping scrapbooking pages. What could it mean? I shudder to think. As for me, I plan on retiring as a freelancer. With one less chore on my plate, maybe I can be less of a robot and more aware of my own community. Note from Mollie: Kensington is doing very special giveaway of a scrap-journal that I made. You can enter the giveaway here.http://kensingtonbooks.tumblr.com/scrapbook TODAY IS THE LAST DAY! 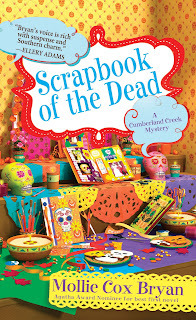 The Cumberland Creek Mystery Series sounds great! I have added the books to my TBR list. I adore the scrapbook, and I entered the giveaway. I absolutely love hearing from the characters; they always make me smile!